In Lyndon Township, a major dispute is brewing between McCoig Materials, Inc. (McCoig) and concerned community members over a proposed gravel mine. Located in the northwest corner of Washtenaw County, Lyndon Township is a rural community with a small population (2,720), few businesses, and abundant nature areas. The proposed mine location near the junction of M-52 and Territorial Road falls on land that abuts county-owned Park Lyndon and 20,500-acre Waterloo-Pinckney Recreation Area, a state-owned network of forests, lakes, and trails that is a recreational destination for outdoor enthusiasts. McCoig has applied for a permit to operate a Mineral Mining Operation (MMO), including a variance request that would enable them to operate a gravel mine on land zoned as rural-residential. In compliance with Lyndon Township’s Zoning ordinance and Ordinance 21, a specialized ordinance that regulates the extraction of sand gravel and other earthen materials, McCoig provided the following documents: A hydrological review, environmental assessment, endangered species report, spill prevention control and containment plan, and a preliminary hauling route from the mine to US-94. The proposed gravel mine raises an array of environmental, safety, health, and economic concerns that have mobilized local residents to collectively take action to “Deny the Mine”. On March 13th, a public meeting soliciting community perspectives drew around 500 people. The crowd of opposition included Jeff Daniels, Hollywood actor and resident of the nearby town of Chelsea, and multiple scientists and lawyers who are contributing their time and expertise pro bono. All zoning must bear a “direct and substantial relation to the . . . public health, safety, morals, and general welfare, or the community as a whole.” In order to comply with this mandate and substantive due process, courts have construed that a zoning ordinance must be reasonable. Silva held that when a zoning law affects one’s ability to mine valuable natural resources, the “very serious consequences” rule must be applied to determine the ordinance’s reasonableness. The “very serious consequences” test established a presumption in favor of resources extraction- any zoning that prevents natural resources extraction is invalid unless very serious consequences would ensue. The Silva court reasoned that “preventing the extraction of natural resources harms the interest of the public. . . by making natural resources more expensive”. Since the cost of natural resources is largely dictated by transportation costs, a mine location proximately located to the extracted resource’s destination lowers the (transportation and thus) production costs of the resource, which translates into a public interest- a lower price for the resource on the marketplace. Taken in aggregate, Silva establishes a two-prong test: (1) a subjective test where “the landowner must show that by extracting the resource he or she can reasonably hope to operate at a personal profit,” and (2) a balancing test where the degree of public demand for the resource extracted is compared to the consequences to the community. In effect, the “very serious consequences” test elevates a generalized public interest in inexpensive natural resources over all other conceivable interests that may be particular to local communities. In 2010, the Michigan Supreme Court overruled Silva, holding in Kyser v. Township that the “very serious consequences” test violated separation of powers and was preempted by the Michigan Zoning Enabling Act (2006). The court found that the test impinged on separation of powers because zoning is a constitutionally-mandated legislative function. 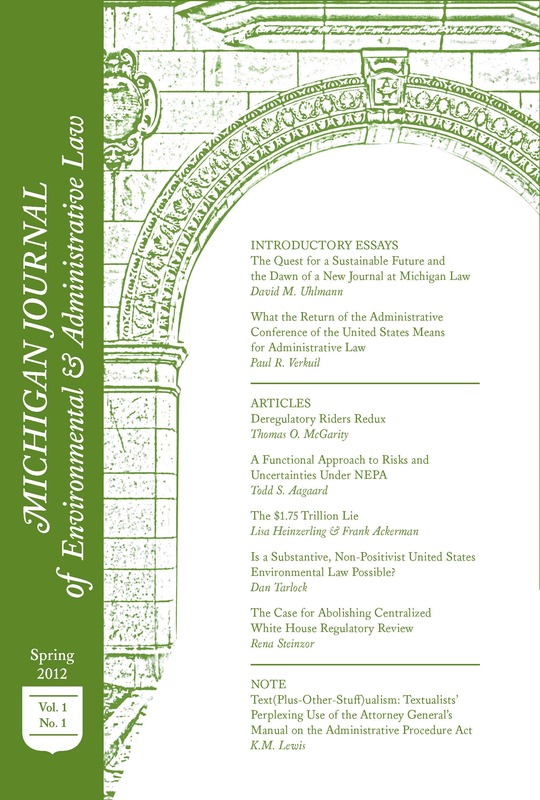 The effect of very serious consequences was that the court, not a legislative body, created state-wide public policy; “Michigan’s constitution directs the legislature, not the judiciary, to provide for the protection and management of the state’s natural resources.” Additionally, the court interpreted that the legislative intent of the zoning enabling act was to empower local government to regulate land use, including the review process for natural resource extraction. The court determined that the legislature did not intend for natural resource extraction to have a presumption of validity unless “very serious consequences” would occur. The Kyser court questioned the validity of two underlying premises of the serious consequences rule to come to that conclusion: (1) that natural resource extraction is preferred to other types of land use, and (2) that the public is always harmed by preventing the extraction of natural resources. In direct response to Kyser, the state legislature amended Section 205 (which previously had no mention of natural resource extraction) of the Michigan Zoning Enabling Act by passing Public Act 113 (2011). The act codified the “very serious consequences” test from Silva and added six considerations to help determine whether very serious consequences will result from mineral extraction. The overall public interest in the extraction of the specific natural resources on the property. McCoig’s proposal is currently under consideration by the township planning commission and a date for a vote has not yet been set. The planning commission faces mounting pressure from both sides and a considerable fear of getting sued by McCoig if they deny the zoning request and MMO. The front page of Lyndon Township’s website contains the following disclaimer: “Please understand that the township’s authority to regulate MMO’s is very limited.” Michigan State Legislators have greatly reduced township control by passed Act 110 of 2006.” In the fiscal year ending on June 30, 2013, Lyndon Township drew in just $716,447 in revenue. Lacking both the financial or personnel resources of McCoig, Lyndon is hoping to avoid a litigation from either side. Regardless of whether Lyndon Township decides grant or deny McCoig’s proposal, the losing side will likely file a lawsuit. I believe that factually, a strong case can be made that the mine would have very serious consequences on Lyndon Township and neighboring Chelsea. Joel Blum, a University of Michigan Professor of Earth and Environmental Science questioned the thoroughness of McCoig’s hydrological report. He raises the concern that mining activities, which would convert the highest elevation point in Washtenaw County into a 50-foot lake, could contaminate wells in the surrounding area through facilitating the release of arsenic into the groundwater. Additionally, at the March 13th public meeting, the thoroughness and veracity of McCoig’s endangered species report was challenged. From a safety and economic perspective, McCoig’s proposed hauling route is particularly troublesome. Each day, the gravel mine is expected to fill eighty truckloads that will travel to I-94 via M-52, passing straight through Chelsea’s quaint downtown. Chelsea residents and business owners have voiced concerns about traffic congestion, pedestrian safety, smells and debris, and a harmful impact on business revenue and property values. The culmination of environmental, health, safety and economic impacts strongly indicate that the McCoig mine poses very serious consequences to Lyndon Township and the city of Chelsea. With Lyndon Township’s vote date not set, the timetable for this dispute is unclear. Stay tune to local media for ongoing coverage of this dispute! -Hazel Blum is a General Member on MJEAL. She can be reached at hblum@umich.edu. Residents express concern over proposed storage facility in Lyndon Township, Lisa Allmendinger, http://www.twplyndon.org/Documents/attachments_2010_12_06/Chapter%205%20-%20R-R%20Rural%20Residential%20District.pdf. Lyndon Township Zoning Ordinance, http://www.twplyndon.org/Ordinances/Pages/ZoningOrdinance.aspx. “Deny the Mine” is a slogan displayed on lawn signs around Lyndon Township. Jeff Daniels joins nearly 500 residents opposing new sand mine near Chelsea, Ben Freed, http://www.mlive.com/news/ann-arbor/index.ssf/2014/03/jeff_daniels_joins_about_500_r.html. Silva v. Ada Twp., 330 N.W.2d 663 (1982). Alderton v. City of Saginaw, 116 N.W.2d 52, 55-6 (1962). Ryan (Dissenting), Silvia at 668. Michigan Loves Mining… Again, Barry Malone, http://www.americanbar.org/content/dam/aba/publications/natural_resources_environment/summer2012/nre_sum12_insights_malone.authcheckdam.pdf. Kyser v. Twp., 786 N.W.2d 543 (2010). Michigan Public Act 113 (2011), http://www.legislature.mi.gov/documents/2011-2012/publicact/pdf/2011-PA-0113.pdf. Township of Lynson, Report on Audit of Financial Statements, http://www.michigan.gov/documents/treasury/811080LyndonTwp20131220_443707_7.pdf. Supra, note 6 (Additionally, I must disclose that Joel Blum is my father and I have spoken to him about the issue). Very generalized questions were raised about thoroughness of the endangered species report. The report concluded that the proposed area of vegetation removal is not critical habitat for local endangered and threatened species. The report can be found at http://www.twp-lyndon.org/Documents/Appendix%20B.2%20%20Threatened%20and%20Endangered%20Species%20Report.pdf.